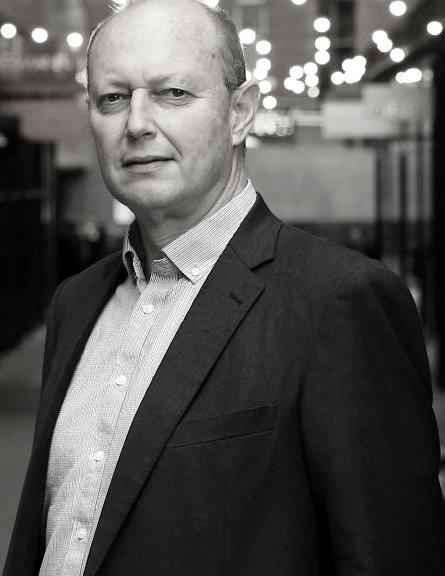 Peter Cook has 25 years’ experience as a director and executive with companies including Coopers & Lybrand (now PWC), Catsco Pty Ltd and Advanced Network Management Pty Ltd (Telstra joint venture company) and many start-up technology companies. Peter’s career has been largely based on founding and leading multiple telecommunications and payments companies. Unidial Pty Ltd, Total Tel Limited, Long Distance Direct Pty Ltd, Electronic Recharge Pty Ltd, Ezipin Australia Pty Ltd and Ezipin Canada Inc are such examples and all with successful exits to private and public companies. Peter was a Non-Executive Director and Deputy Chairman of Senetas (ASX:SEN) from June 1999 to January 2006. Peter has completed a BSc (UNSW), a Grad Dip Computing (Canberra) and the Graduate Diploma in Securities course from the then Securities Institute of Australia. Peter is a Graduate Member of the Australian Institute of Company Directors. Peter Pawlowitsch is an accountant by profession with extensive experience as a director and officer of ASX-listed entities. He brings to the team experience in operational management, business administration and project evaluation in the IT, hospitality and mining sectors during the last 15 years. Peter is Chairman of Dubber Corporation Limited, and a non-executive director of Ventnor Resources Ltd and Knosys Limited, all ASX-listed companies. Peter holds a Bachelor of Commerce from the University of Western Australia, is a current member of the Certified Practising Accountants of Australia and also holds a Masters of Business Administration from Curtin University. Brandon Munro is a corporate lawyer by profession with executive experience in the private equity, mining, infrastructure and IT sectors. Brandon brings regulatory, governance, mergers and acquisitions and capital markets knowledge to the team as well as his own experience co-founding start-ups in the IT and exploration sectors. He commenced his career as a lawyer working for 7 years at premier Australian commercial law firms, following which he held executive management and director positions in the resources and infrastructure sectors, including in the private equity and funds management industry. Brandon is currently the CEO of ASX-listed Bannerman Resources Ltd and a Non-Executive Director of ASX-listed Rewardle Holdings Ltd. Brandon is active in the not-for-profit sector and is a Trustee of Save the Rhino Trust of Namibia and a Fellow of the Art Gallery of Western Australia. Brandon has degrees in Economics and Law from the University of Western Australia and postgraduate qualifications in Applied Finance and Investment from the Securities Institute of Australia (now Finsia). He is a Fellow of Finsia and a Graduate Member of the Australian Institute of Company Directors. Paul Burton has over 14 years of leadership experience in the payments industry and was the CEO of Datacash Group Plc, a payments gateway company bought by Mastercard. Datacash had a significant presence in Africa and Paul steered the company’s expansion in that market. Paul, a qualified chartered accountant, entered the payments industry in 2001 when he joined Proc-Cyber Services as a Financial Controller, which was later acquired by Datacash. He was the CEO of Datacash in 2012 when he left to offer management consulting services to a number of global payment processing companies. Paul is a director of Novatti, TransferBridge and Flexewallet. Paul holds a Bachelor of Commerce from Rhodes University and Honours Bachelor of accounting science from University of South Africa. Paul is a current member of the Chartered Accountant of South Africa. Kenneth Lai is the managing director and wholly owner of Prestige Team Limited, an investment company which, together with its subsidiaries, holds an investment portfolio in Hong Kong and Southeast Asia. Prestige Team Limited has interests in real estate, payment processing, digital marketing and information technology support services. Kenneth has funded and invested in various Silicon Valley technology funds focusing on business opportunities within Asia. He also co-founded Legend World Development Technology Limited, a limited liability company incorporated in Hong Kong, which provides information technology solutions and integrated marketing solutions to business setups, and in which he is a shareholder and advisor. Kenneth holds a Bachelor of Science degree majoring in Computer Science from the University of Auckland, New Zealand. Steven Zhou is an experienced executive with payments industry experience in both China and Australia. Steven has recently aided Novatti in a number of deals involving new business operations between Australia and China. Alan Munday has 25 years’ experience as a director, executive, and management consultant including with KPMG, Senetas (ASX: SEN), Granite Investment Group, Total Tel International (TTI) and other companies. Alan has been associated with Novatti and its predecessors from 2002 including a period in the role of managing international partner channels and sales. Alan has considerable experience in establishing and developing early stage companies and helping develop and execute new business strategies. He is recognised for providing innovative and insightful solutions to ensure clients achieved their business objectives. Alan entered the business sector following 15 years’ service in the Australian Army, including 2 years in the US Army HQ Washington as part of an IT systems and network communications project. Alan is a director of Novatti (Malaysia) Sdn Bhd. Alan has an MBA (Swinburne), Masters in IR and ER (Monash) and other academic awards in business. He is a certified company director (UCLA, USA) and has studied at the USA National Defense University, Computer Institute. He is a member of the Australian Institute of Management and a member of the Australian Institute of Company Directors. Steven Stamboultgis has more than 25 years finance experience, having worked with companies including Foster’s Brewing Group, Pauls Milk and Parmalat Australia. As Chief Financial Officer at Praemium Limited (ASX: PPS), Steven was responsible for the company’s financial reporting requirements and was a member of the team that assisted the company list on the ASX. Recently, Steven was Chief Financial Officer and Company Secretary for Urbanise.com Ltd (ASX: UBN). Steven holds a bachelor’s degree in accounting, a master’s degree in commercial law and is a certified practising accountant.